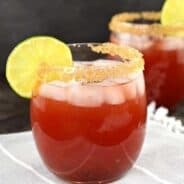 Cranberry Ginger Ale Punch that can be made boozy or not. It’s great for grown-ups and kids alike! 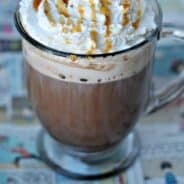 Holiday Punch recipes. Everyone has them, but if you’re like me, you forget to make them! There are holidays that I buy all the ingredients, but by the time everyone has arrived, and drinks have been poured, I forget that I wanted to make punch! 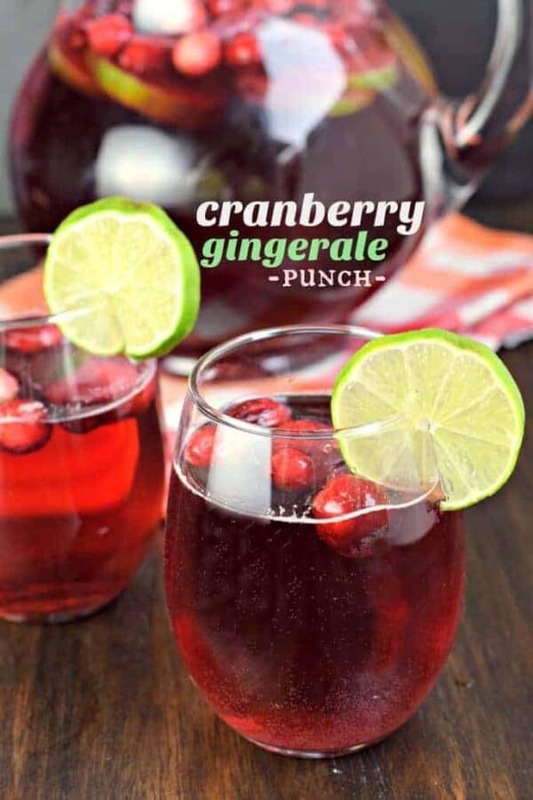 Today’s Cranberry Ginger Ale Punch is crazy easy. And versatile too. You can serve it with or without alcohol depending on your crowd. In a large pitcher, you can add the juice and the pop (it’s what we Midwesterners call our soda/coke/ginger ale)! Toss in your sliced limes and fresh cranberries and serve it to your guests. I like to place the pitcher on my bar with some bottles of rum and vodka. Either one is delicious in this drink…although I tend to add the vodka. 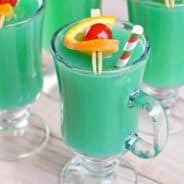 A couple tips about serving punch. First, you can freeze cranberry juice in your ice cube trays. That way when you add them to your drink glasses, your punch won’t get watered down. Another tip would be to freeze your fresh cranberries in a ziploc bag. When you’re ready to serve your drink, toss in a handful of frozen berries. These can be used in place of ice cubes to keep your drink cold. Finally, you can make a fruity ice ring. Take a jello mold and fill it with water. Add in your fresh cranberries and lime slices. Freeze the jello mold until you’re ready to serve. 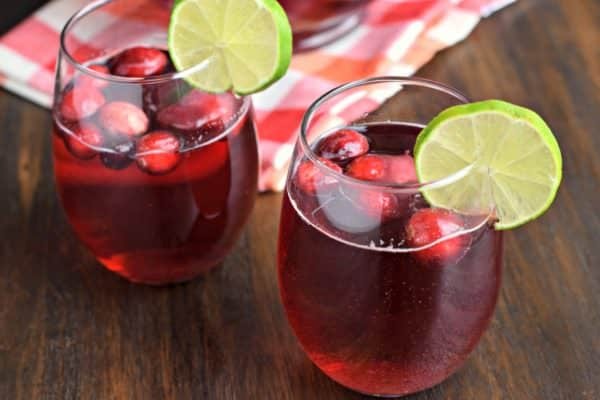 Pour your cranberry juice and ginger ale into a large punch bowl. Add your fruity ice ring (you may need to dip the bottom of the jello mold in hot water so the ice releases). Such a festive way to serve today’s punch. You can add alcohol or keep it kid friendly! 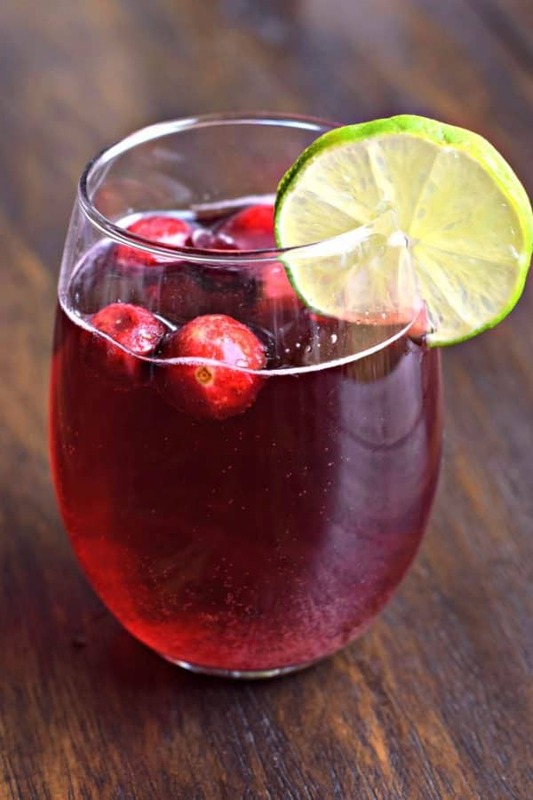 Stop on over at Food Fanatic to print my Cranberry Ginger Ale Punch recipe!